We had read about the Snow Dogs Trail, and while we were strolling around a little corner of Sunderland, we managed to find a few of them :) As it turns out, it was the last weekend they were on show, so really pleased we got to take part, albeit with only a few of them. Presented by creative producers Wild in Art, working in partnership with St Oswald's Children’s Hospice, Great North Snowdogs will bring together businesses, artists, schools and community groups to create a public art trail of beautiful Snowdog sculptures, based on the story The Snowman and The Snowdog, by Raymond Briggs. For ten weeks during Autumn and Winter 2016, the North East’s streets, parks and open spaces will become home to a series of individually designed Snowdog sculptures, painted by both well-known and undiscovered artists. This will result in a sculpture trail, sponsored by businesses and individuals, showcasing the rich cultural offer and wealth of artistic talent in the area. Local people can become ‘tourists in their own city’ with a trail map and dedicated app will lead them from popular tourist destinations to lesser known areas of the region. Once the trail ends, the sculptures will be auctioned at a glittering event in December 2016, to raise funds for St Oswald’s Children’s Hospice. 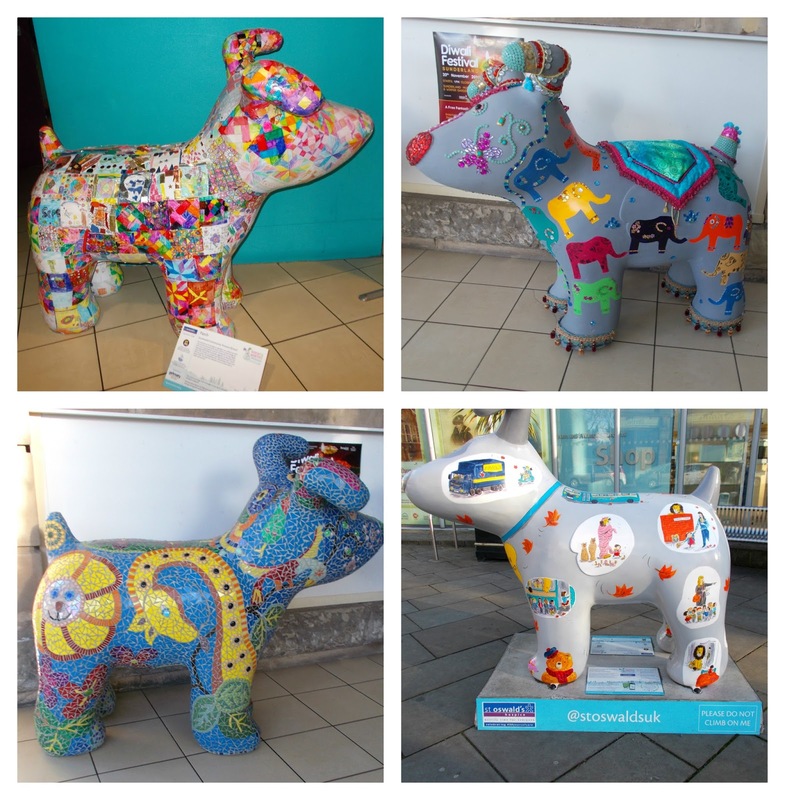 A separate trail of smaller Snowdogs, created by local school children and community groups will also be exhibited, celebrating the talent of the young people of the North East. I love those! Several cities and towns in the USA do that too. We've had similar before too, but this is the first chance I've had to actually go on a trail to find them!